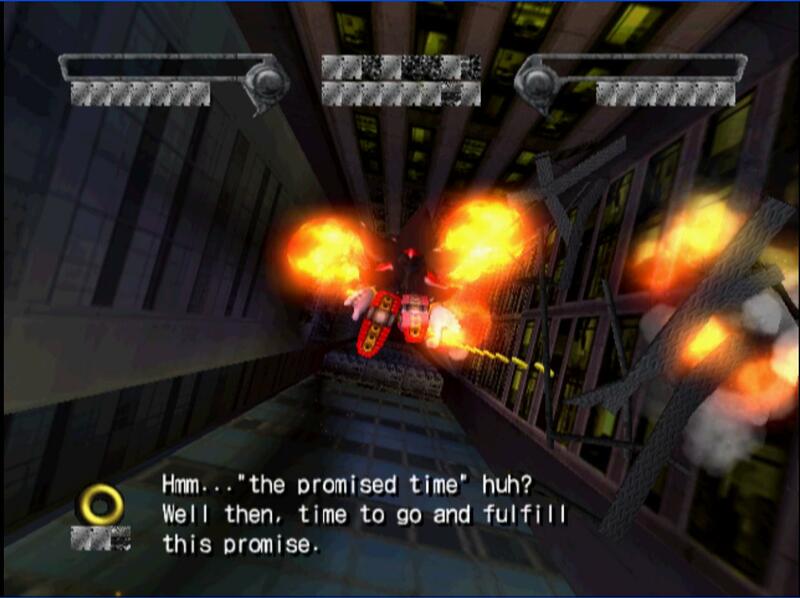 How do I remove bloom and fog in Shadow The Hedgehog? Subject. Argressive CRC hack and "stop drawing 1-10-100 image layers" doesn't help at all. Sometimes, some advanced effects are removed when using it. Why do you want to? Can you post some pics? I just did a recent playthrough of it, the blood/fog never bothered me. (05-06-2014, 11:27 AM)jesalvein Wrote: Tried software mode ? 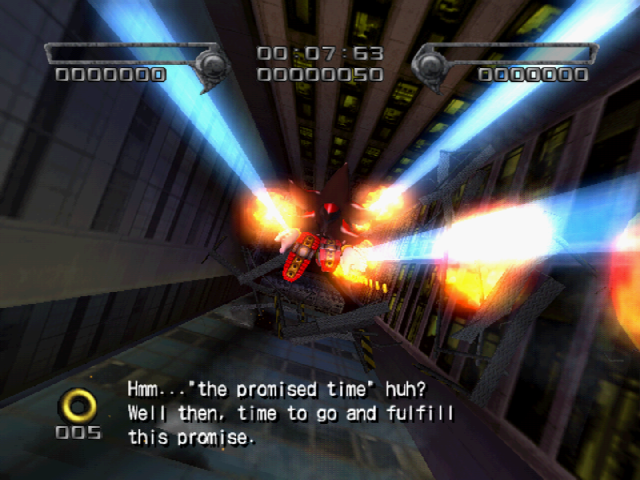 Yeah, still no luck, not to mention that it becomes nearly unplayable, especially when big amounts of smoke appear. (05-06-2014, 05:48 PM)devina40 Wrote: Why do you want to? Can you post some pics? Because bloom doesn't let you to see a thing in an area it's applied to. And I don't like warm colours. ZeroGS 0.97.1, "Specular highlights" hack. 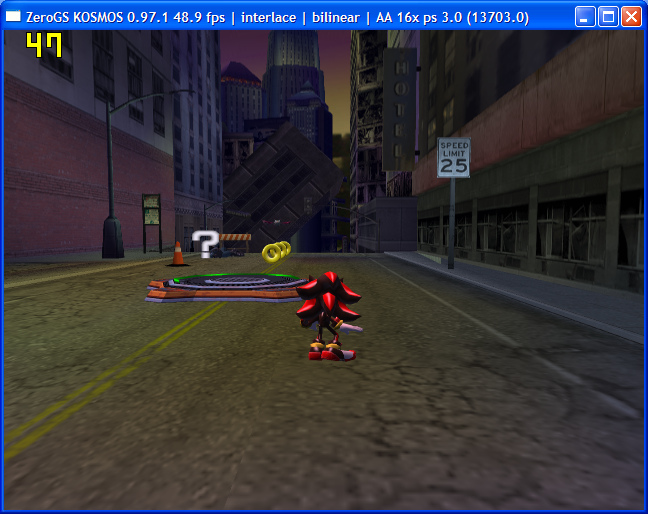 It's important to pause/continue the game with a proper PCSX2 menu, not with Alt+F4. Needs "continue" command after plugin window was closed. It's drawbacks are not only lack of alphablended surfaces - all the menus disappear after that, so this hack must be enabled after level was loaded. Heh, it means Black Doom hologram and subs will be probably invisible too. Is that... Windows XP? Really? You should upgrade to 7 or 8.1 with Classic Shell. Also, I wouldn't touch ZeroGS with a 10 foot pole. It's so outdated. The game looks fine for me. I also widescreen hacked it. Where'd you get the emulator, and game from OP? (05-08-2014, 08:05 PM)devina40 Wrote: Is that... Windows XP? Really? It need serious benefits that'll be worth breaking my current system that works well. (05-08-2014, 08:05 PM)devina40 Wrote: Also, I wouldn't touch ZeroGS with a 10 foot pole. It's so outdated. Me too, but I made a guess that only some old plugins have these low-level tweaks that will help me achieve what I want. And it works. I hope I can patch latest GSDX with some Xenosaga patch to do the same. (05-08-2014, 08:05 PM)devina40 Wrote: The game looks fine for me. It looks nice while there's not much bloom on the screen, but when it comes to poison river in Gun Fortress or lava in Lava Shelter, or massive explosions, or Ark levels, or glowing open skies in Glyphic Canyon or Dark(?) Castle-then it looks like mess. (05-08-2014, 08:05 PM)devina40 Wrote: The game looks fine for me. I also widescreen hacked it. (05-09-2014, 05:19 AM)Scootaloo Wrote: Where'd you get the emulator, and game from OP? Emulator is latest build. I can't link to a game because warez is prohibited by forum rules. But I guess it'll be okay to link to a plugin: http://games.softpedia.com/progDownload/...12529.html It's probably just regular ZeroGS though. Quote: I can't link to a game because warez is prohibited by forum rules. That doesn't remove the fact you got it the wrong way. Current time: 04-19-2019, 01:00 AM Powered By MyBB, © 2002-2019 MyBB Group.